Here’s your loyal correspondent speaking to you from Portland. I know, it’s nearly 4 in the morning for most of you but it isn’t quite 1 here. Today we visited SakeOne. (Saké is pronounced Saw-kay, btw, not sah-key. ‘s okay.) I took lots of pictures, and we were also given a Flash drive at the end of the distillery tour. I’ll be sharing more about this remarkable operation very soon. In the tasting phase, I sampled six Sakés; I loved one and liked another very much. SakeOne kindly allowed us each to take two or three splits with us. My favorite was the second we tried, the Momakawa Namazake, and I kept seeking that split in their shelves. However, it isn’t available to take away, as it’s on tap only as a fresh, cold, unpasteurized brew. My luck. My second favorite was the glass-coating Coconut and Lemon Grass infused Saké which also had some ginger in it, I think. The Asian Pear Saké was also delicious. Because Saké is made from rice (a grain), the laws at the initial phase of making Saké govern these spirits as “beer,” yet they are marketed, chilled, served, and consumed as wines, except for the “SakeTinis.” Bars and restaurants may serve Saké and cocktails made from Saké with just a beer/wine license. And, Saké is sulfite- and gluten-free. 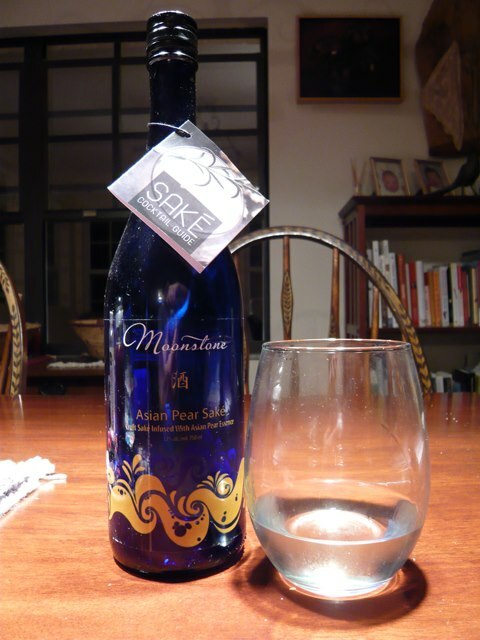 This entry was posted in Oregon, Restaurants, Saké, Tastings, Travel. Bookmark the permalink. HaHa! I almost named the post, “For Heaven’s Saké,” but then I figured someone had probably already trademarked that as a name, so steered away.